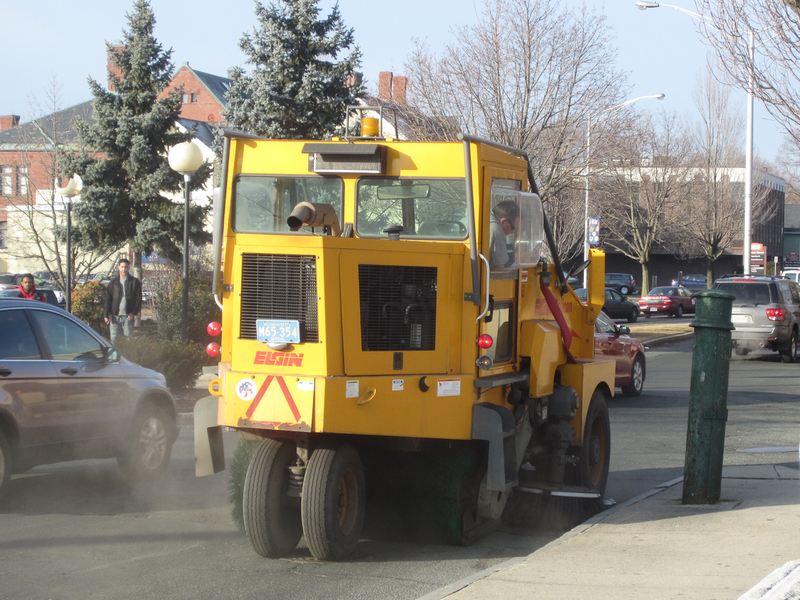 PROVIDENCE, RI – Mayor Jorge O. Elorza today announced an aggressive citywide street sweeping program that will begin on Sunday, April 5. Crews will work to clean streets throughout the City nightly from 10:30PM-7AM, prioritizing main streets and business districts followed by neighborhoods. Yard waste collection will begin on Monday, April 13. Residents are encouraged to recycle and compost all yard debris. Yard waste should be left curbside on regular recycling and trash collection days. Sticks and trimmings should be cut shorter than 4 feet and tied together. Yard waste may not be placed in plastic bags. It would be nice if they would post an actual schedule. OK, great, this should be done seasonally. What about the potholes? While walking near my apartment in the Jewelry District, I found it a little funny that when they ripped up some old asphalt to lay down new road near Brown, they found the original (in tact, perfect condition) cobblestone streets. No pothole problems there. They should have just kept it all cobblestone. The city Department of Public Works web site (when it was up) directed readers to Waste Management Inc. for information about yard waste pickup (which will be done by WMI not DPW). I haven’t explored WMI’s site in the last couple of days, but I seem to recall that last weekend it was equally vague about starting dates and frequency. Others may learn more now. ¶ Some major work on repairing the water mains and streets around Wayland Square was scheduled to begin with Spring later this month. However, Wayland Square merchants who’ve already lost much business to this winter’s snow, protested that this would cut into one of their busiest seasons. Providence Water and the City are now investigating whether it would be possible to reschedule the work for the summer doldrums between Memorial Day weekend (Brown commencement) and Labor Day. The next meeting of the Neighborhood Discussion Group at Books on the Square (471 Angell at Elmgrove, next to CVS) will hear more about these plans from speakers from Providence Water, National Grid and the city’s Street Improvement Project. The meeting will be from 7 to 8:45 p.m. on Wednesday 22 April (three weeks from this coming Wednesday the 1st). Finally, something slightly more definitive about yard waste pickup. Yard debris should be left curbside on recycling and trash collection days; Clippings, leaves and sticks should be placed in open barrels or paper yard waste bags. The City of Providence Department of Public Works has announced that free yard debris collection will begin Monday, April 13, 2015. * Residents are encouraged to recycle and compost all yard debris. * Yard debris should be left curbside on regular recycling and trash collection days. * Sticks and trimmings must be cut to 4 feet or smaller and tied together. Yard debris may not be placed inside plastic bags. * Yard debris collection ends on Friday, December 11, 2015.